Here at 5-a-side we know that a big reason you love your small-sided football is for the memories that it creates. Start talking to anyone about 5-a-side and you’ll soon discover that everyone has at least one good story up their sleeve. Isn’t it time that your favorite story got shared with the world? 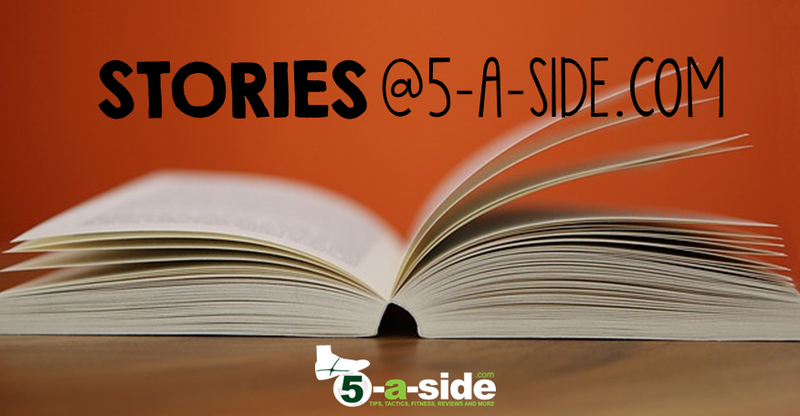 We’re looking for stories to run as part of a regular feature here at 5-a-side.com. We’re after anything that’ll make us laugh, cry, wince, or just think “yep, I’ve been there”. And if you can get our jaws to drop in amazement, even better! 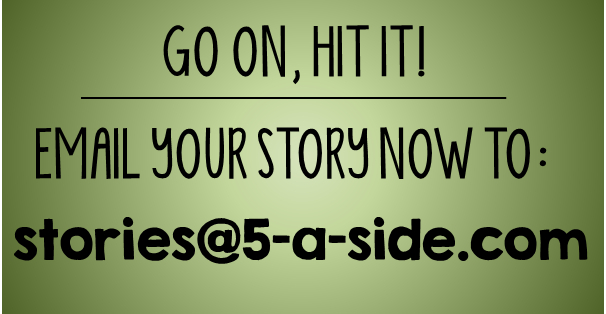 Your stories needn’t be long and you don’t have to be Shakespeare for it to be enjoyed by your fellow 5-a-siders. We can put the finishing touches to it so that it reads nicely, or you could just give us the basic outline and let us turn it into a fine piece of prose for you. However you want it, we’ll work with you. And trust us, you’ll get the final say on it – after all, it’s your story we’re sharing. Temper tantrums and fights – let’s be honest, we all love a story about somebody completely losing the plot, what’s the best you’ve witnessed? Injuries – Sadly, part and parcel of the game. We’d love to hear about unlucky injuries, comedy accidents, phony injuries, or anything that’s a bit odd. Maybe you shared an ambulance to the hospital with the opposition? Moments of glory / moments of shame – whether it was the time that you hit your majestic peak as a player, or whether it was when you hit absolute rock-bottom, let us revel in it with you. Sacrifices in the name of football – what lengths have you gone to in the name of playing the game you love. Has it cost you friendships, hot dates, relationships, employment? The oddballs – football is a game that takes all-comers. But have you seen some oddballs on the pitch? Tell us about the weird moments, dodgy referees, legends of the game, absolute idiots, big-time Charlies, and utterly unexplainable occurrences. 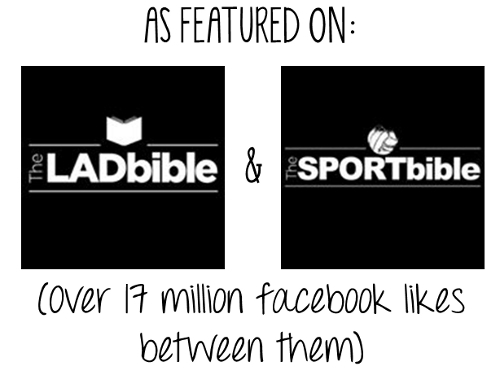 We’ll even find some small prizes for the first couple of ones that get published. By the way, we’ll never, ever publish or share your email address – there’s no problem if you want it published anonymously, just let us know and it will be our little secret!